There are several startups competing to produce lab grown meat and other stem cell generated animal products. Mark Post, whose stem cell burger created an international sensation in 2013, recently announced that his company, Mosa Meat, would be selling lab-grown beef in four to five years. SuperMeat, an Israeli start-up, is trying to create lab-grown chicken, making all the usual lofty promises about lab-grown meat: It’ll stop animal suffering! Save the planet! End hunger! But in a new twist, it’s also touting the endorsement of an unexpected group: rabbis, who say its chicken will be kosher. In theory, the stem cells could provide a lot of meat. Assuming unlimited nutrients and room to grow, a single satellite cell can undergo 75 generations of division during three months. That means one turkey cell could turn into enough muscle to manufacture over 20 trillion turkey nuggets. Surveys suggest about half of vegetarians would eat meat if it came from a lab. 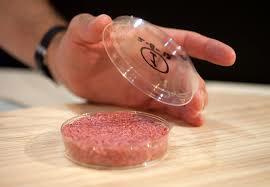 Some studies of in vitro meat suggest there could be large environmental benefits. Hanna Tuomisto, an agroecologist at the London School of Hygiene and Tropical Medicine, says producing beef in vitro could reduce greenhouse gas emissions from cattle by over 90 percent, and land use by 99 percent, but only if the vats were fed with pond scum called cyanobacteria. Carolyn Mattick of Arizona State University is considerably more skeptical. Her calculations show that manufacturing chicken tissue with conventional nutrients, like glucose, would use more energy and release more greenhouse gases than farming chickens does. One reason is because ingredients would have to be heated to body temperature. The global meat industry is a $675 billion business. 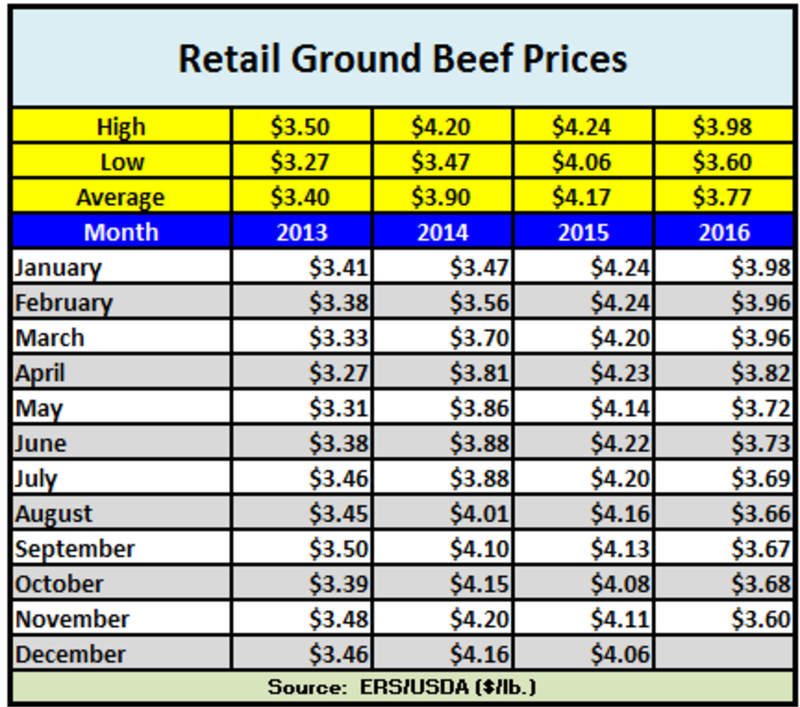 Retail ground beef prices in the USA in November, 2016 were at $3.60/lb, down 8 cents from the month prior and down 51 cents from the same time last year. Retail ground beef prices are down 38 cents from January. Prices are the lowest since February 2014.